18 articles later, we’ve reached the final post in the Leadership Series. We hope you feel empowered and inspired to build your legacy as a leader. “What is the one skill that would dramatically change the quality of your life? It might be communication, empathy, diligence, financial acumen, or perhaps a technical skill like programming or product engineering. So, do you believe it now? Do you see how leadership is the key? We most definitely do and that’s why we spent nine months with leadership as the focus. But now we’d like to end this series with one last story. The story of Alfred Nobel. In 1867, Alfred Nobel, a Swedish scientist, invented Dynamite, a substance found to be extremely useful in excavation, mining and railroad construction. However, it wasn’t long before this explosive and dangerous compound began to take interest in military applications, where it was used in warfare during the Spanish American War. “When Nobel’s brother died, a newspaper ran a long obituary of Alfred Nobel, believing that it was he who had passed away. Thus, Nobel had an opportunity granted few people: to read his obituary while alive. What he read horrified him: The newspaper described him as a man who had made it possible to kill more people more quickly than anyone else who had ever lived. After feeling the pain of reading what legacy he was on track to leave, he made a change by funding something that honors superior men and women who have made outstanding to the world. Today, Alfred Nobel is best known as the founder of the Nobel prize. Imagine you were reading your obituary. What would it say? How would you be remembered? Would it talk about how your were ruthless, but “got the job done?” Or that you were a workaholic who brought his business from nothing to greatness, only while leaving his family behind? Make the change today. You can “rewrite” your own obituary. You are the leader of your legacy. We believe in you and are grateful for your leadership. Thank you for leading our world to become a better place. Gary's MOST POPULAR e-book! Click the image to request your FREE copy. 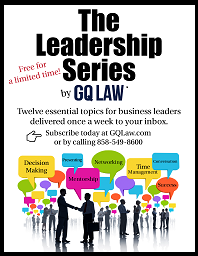 NEW – LEADERSHIP SERIES – FREE for a limited time! ** 12 awesome leadership articles delivered once a week to your inbox. 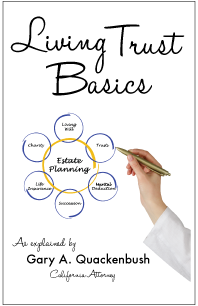 Can You Get a Loan on Your Inheritance? Death Tax: Is it fair to tax people at death? 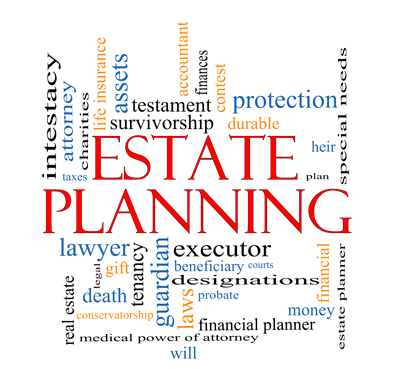 Join our mailing list to receive the latest news and updates from our Estate Planning team.